There are many and various antivirus programs that can protect your computer. 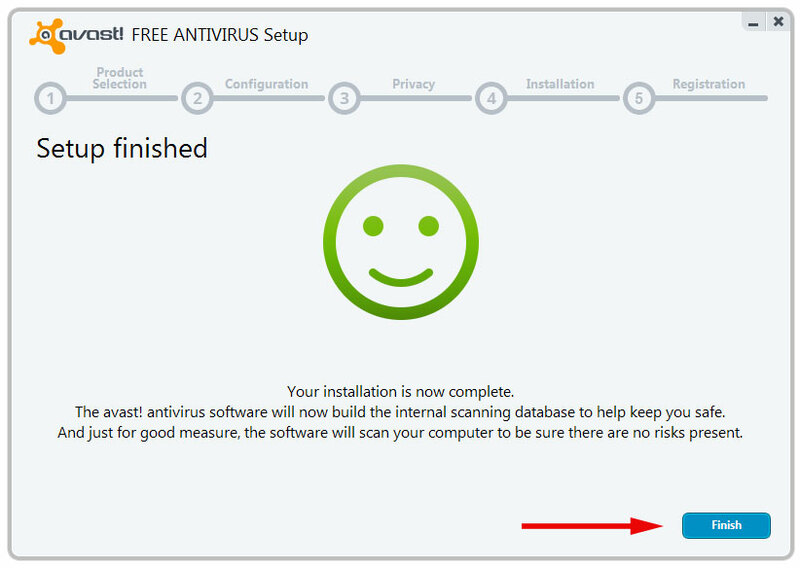 This tutorial will describe how to install one of them, namely Avast. 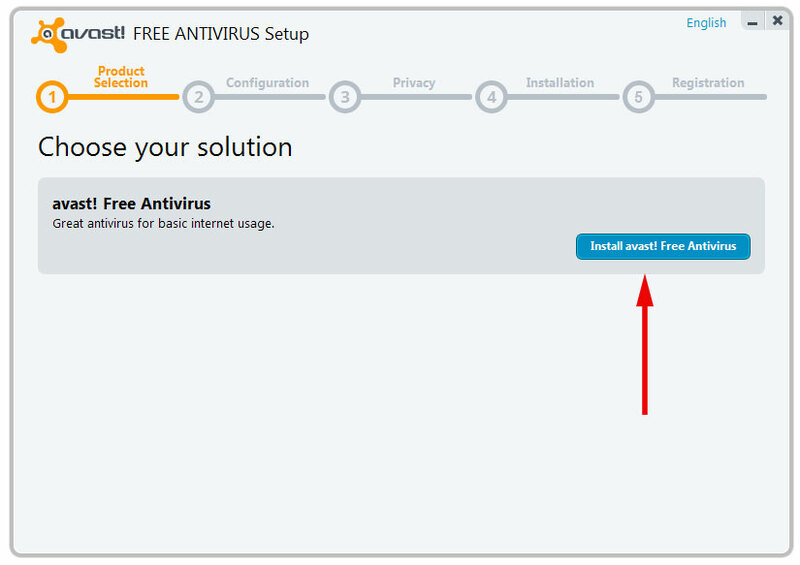 Before we install our new free antivirus program, we must uninstall (remove) if we have an old one. 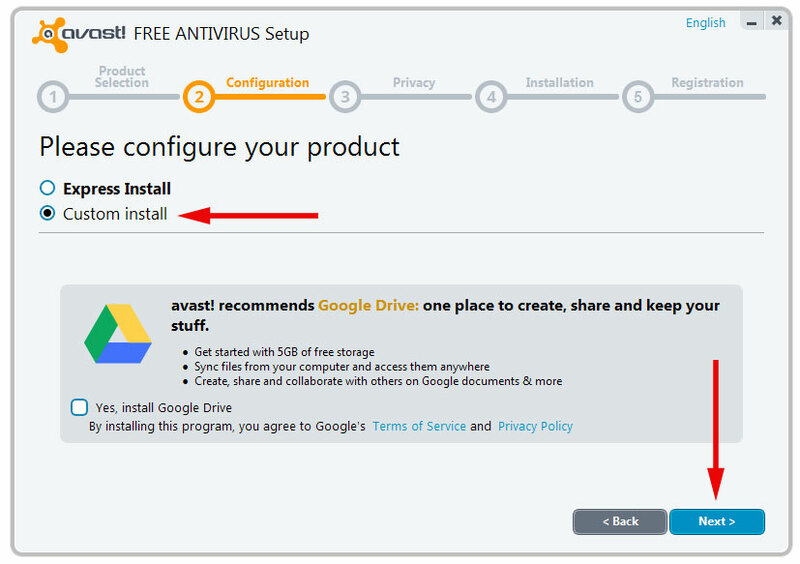 To install Avast, you must first download it from the official website of the manufacturer. The dialog window will open. 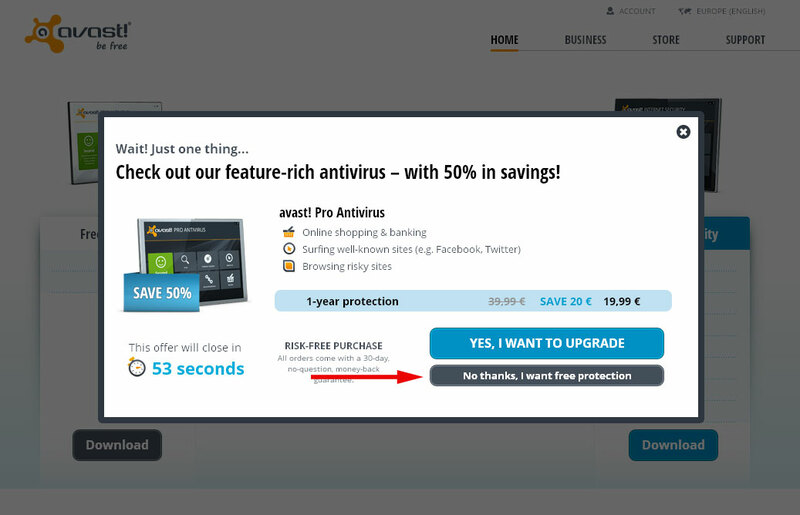 Choose “No thanks, I want free protection”. In the next page that loads choose “Download Now” and wait for the program to download. 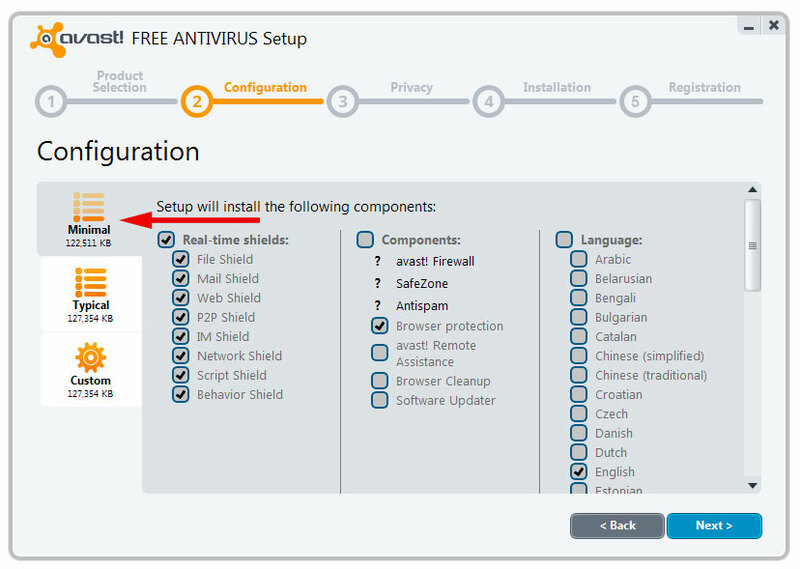 Open folder where you downloaded Avast and click on avast_free_antivirus_setup file to begin the installation. 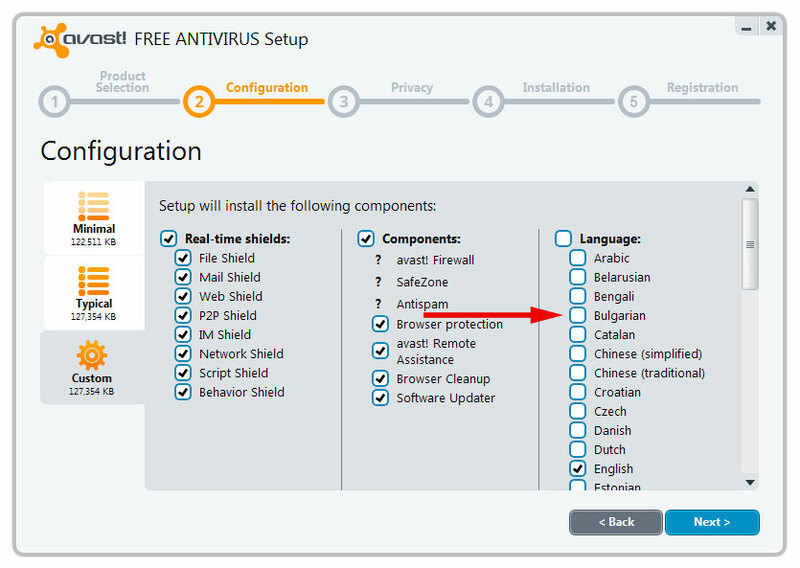 The dialog window “FREE ANTIVIRUS Setup” will open . Choose “Install avast! 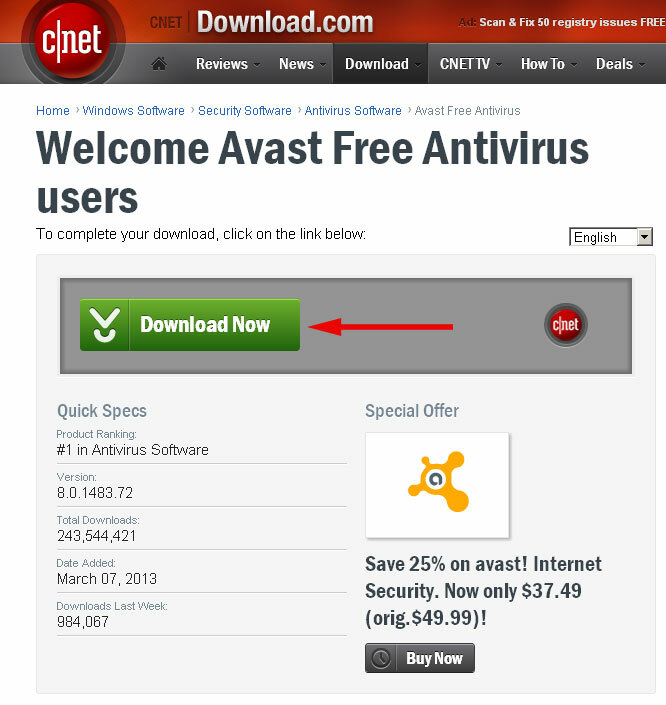 Free Antivirus “. In the next window choose “Custom install” and hit “Next”. 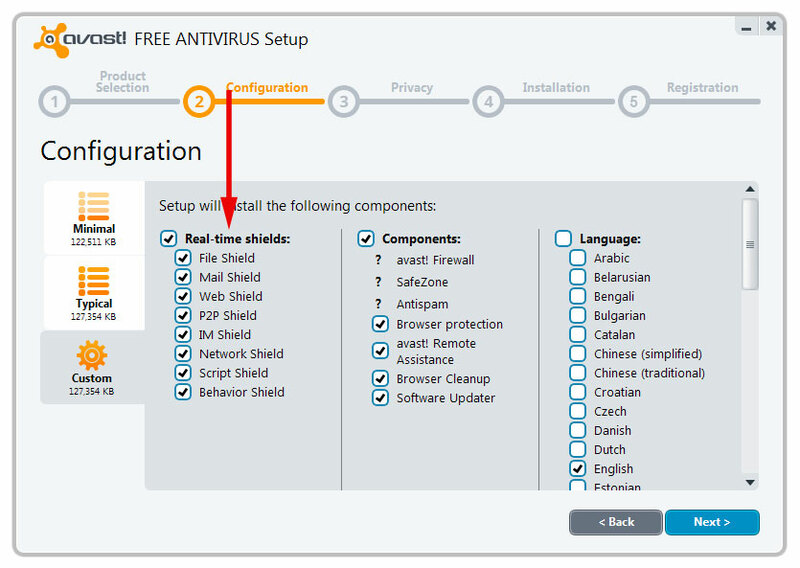 Minimal – with this option, all additional components except the “Browser protection” are disabled. Typical – here all additional components are active by default. Custom – with this option we can manually choose each component, we want to add in our installation. 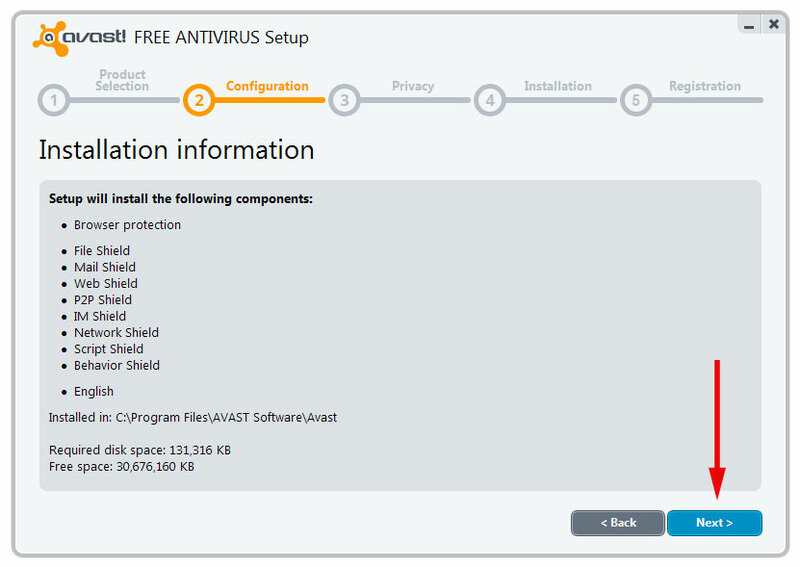 Components add additional functionality and avast can work with or without them depending on configuration that you choose. In Custom you have the opportunity to choose your language. 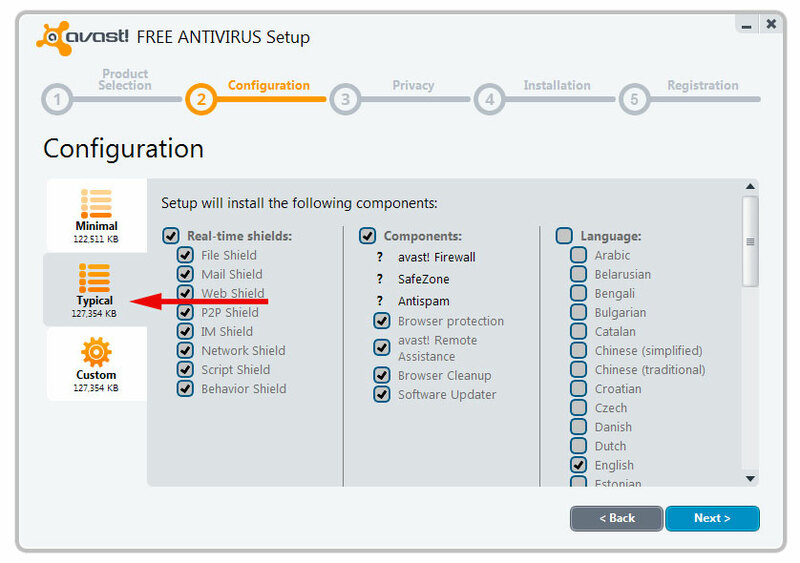 We recommend that you do not remove bookmarks in “Real-time shieds” (even though you have this option) to maximally secure your computer with the possible defenses that this antivirus program offers. Once you’ve made your selection press “Next” and continue with the installation. the next window helpfully gives us information about what will be installed, and after review it and make sure everything is ok, again choose “Next” to move on. In this indow we are given information about the end user license agreement. Choose “Next”. Wait for your new antivirus program to be installed. In this window you can proceed to register the program. 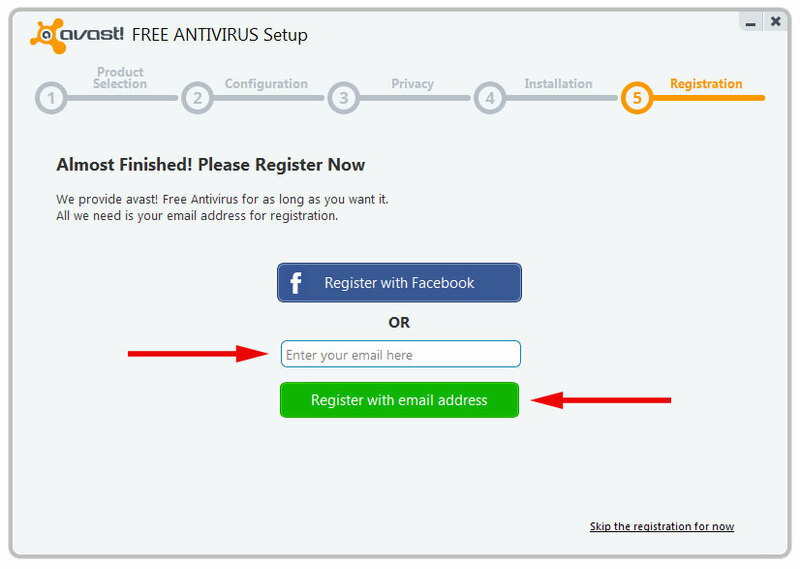 enter your E-mail and then select “Register with email address”. Wait the registration process to complete and hit “Finish”. The only thing left to do is to confirm the registration of the program. 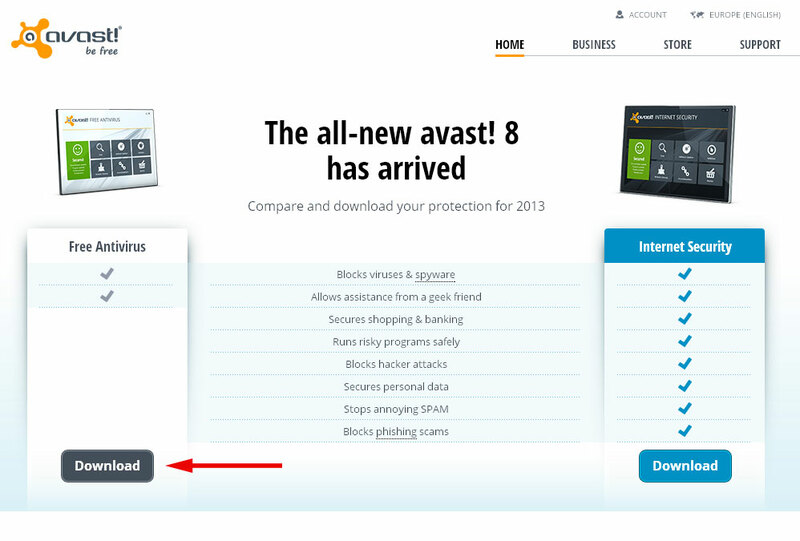 In E-mail address that you use to register Avast, you should receive E-mail from Avast with the following content. 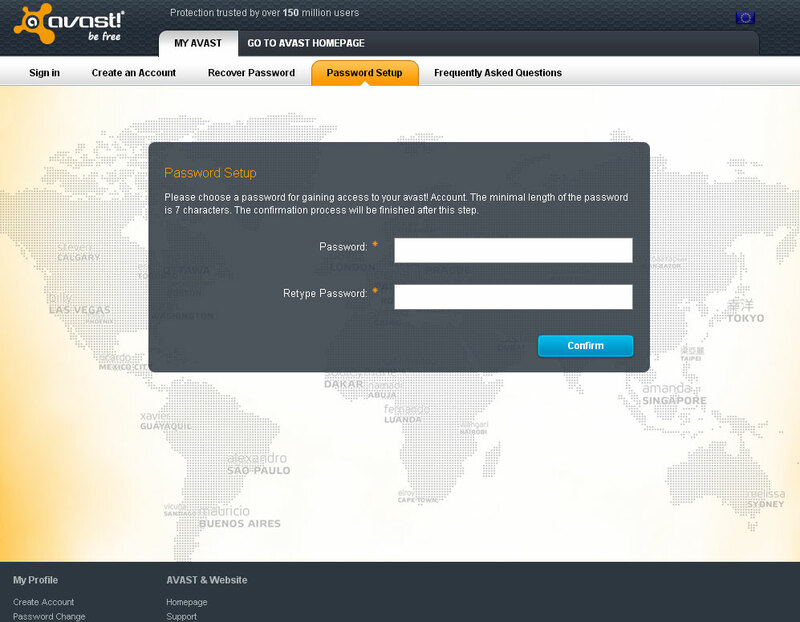 Click on the link in the E-mail and he sent you to the official website of Avast, where you can enter and confirm (re-enter) the password you want to use for your account at Avast. Next articleMy new USB mouse not working. What to do? My new USB mouse not working. What to do?